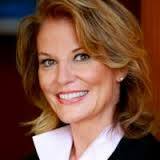 Susan Solovic is an award-winning serial entrepreneur, New York Times, Wall Street Journal, Amazon.com top 100 and USA Today bestselling author. In 2006, Susan won the Stevie Award (the Oscar’s of business) for the Most Innovative Company under 100 employees, and the company was voted the Best Investment Opportunity at a Venture Forum in the Silicon Valley. Susan was recently named in the Top 10 of both SAP’s “Top 51 Potential Human Influencers” and she consistently ranks in the top 5 of the “Top 100 Small Business Experts to Follow on Twitter.” An Internet pioneer, she was the CEO and co-founder of one of the first video-based Internet sites, a company she grew from it’s infancy to a million dollar plus entity. A media personality, she is a former small business contributor for ABC News and hosted a syndicated radio program, It’s Your Biz. Susan appears regularly on Fox Business, Fox News, The Wall Street Journal’s “Lunch Break”, MSNBC, CNN, CNBC and many other stations across the country. Susan hosted her own PBS special called “Reinvent Yourself Now: Become Self-Reliant in an Unpredictable World.” She is a featured blogger on numerous sites, including Constant Contact, Entrepreneur, AT&T Business Circle and FoxBusiness.com. Finally, she was the first recipient of AT&T’s Innovator of the Year Award for being a pioneer in a new industry. 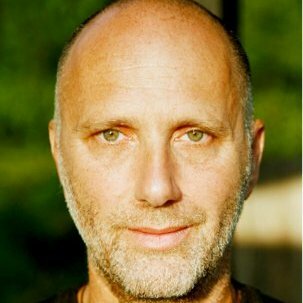 Yossi Ghinsberg is a bestselling author, business motivational speaker, and a great storyteller. He is co-founder and CEO at Blinq.me, which launched its innovative messaging enhancement app which has reached over 250k downloads and rave reviews in just a few months. He has worked with such organizations as BP, Citibank, Qantas, IBM, Hilton, BMW, Proctor & Gamble, and Bayer. ‘Jungle’ is his book about his adventures in the Amazon and sold millions of copies. It was turned into a Discovery Channel docudrama and is being adapted to the big screen. He co-founded Chalalan with the indigenous people of the Madidi Valley in Bolivia. This eco-village has transformed the entire region from exploitation to sustainable industries, mainly tourism and hospitality. He also founded EthnoBios, a research company identifying plant material through ethnobotany, protecting indigenous intellectual properties while cooperating with international pharmaceuticals.